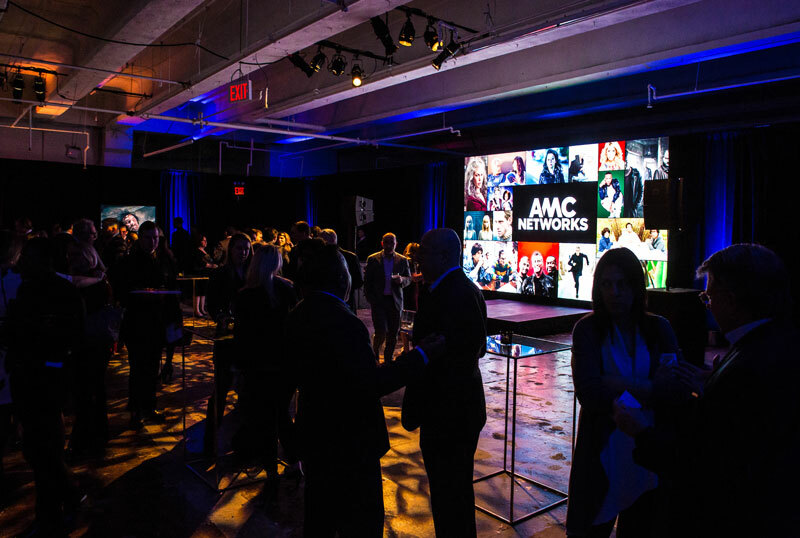 For the first time ever, all five networks comprising AMC Networks – AMC, BBC America, IFC, Sundance and WEtv – came together to present a single upfront under the umbrella of AMCN. 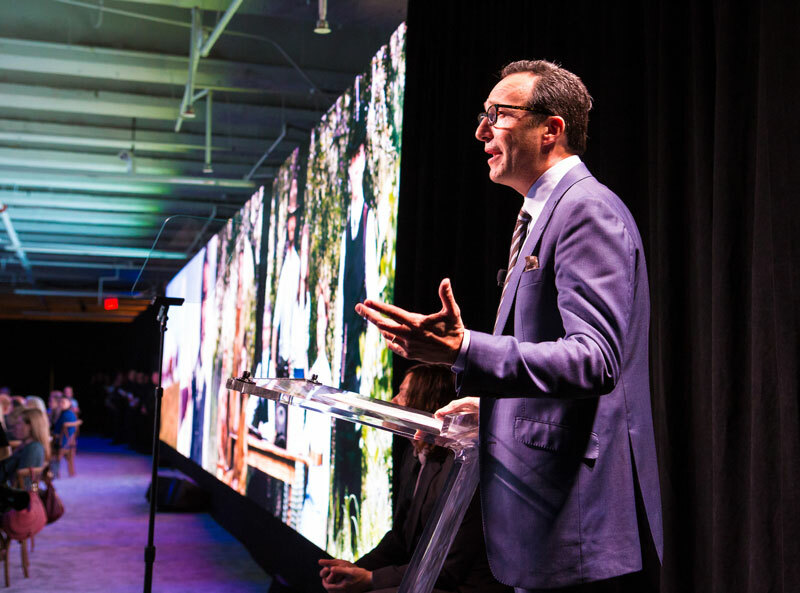 This year’s ambitious event featured a multi-room staged experience and a star-studded dinner for over 600 VIP guests. Upon arriving at Skylight Clarkson North, guests were immediately transported into the world of AMCN. An elegant arrival hall featuring key art of programming across all five networks led guests into the smart and sophisticated cocktail reception. 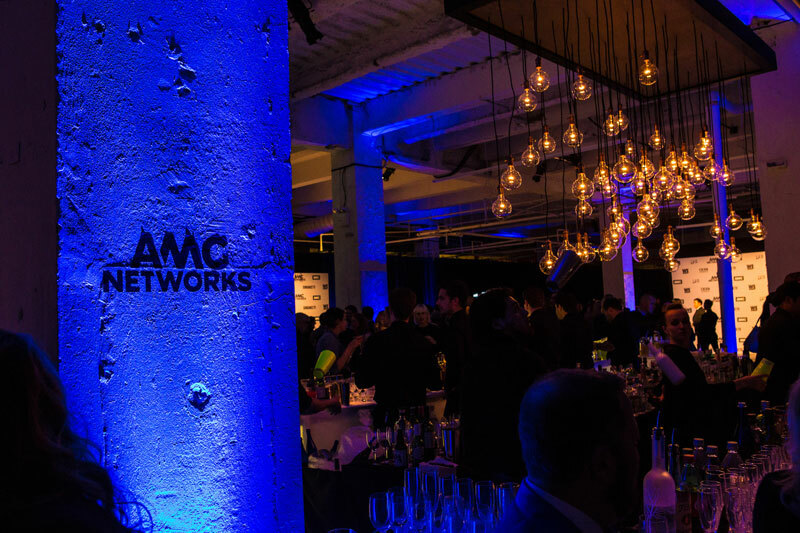 Guests enjoyed savory hors d’oeuvres and prosecco until Scott Collins, President of AMC Networks Ad Sales, delivered welcome remarks and revealed the dinner. On cue, drapes pulled open to reveal a massive, elegant dining room to the awestruck guests. 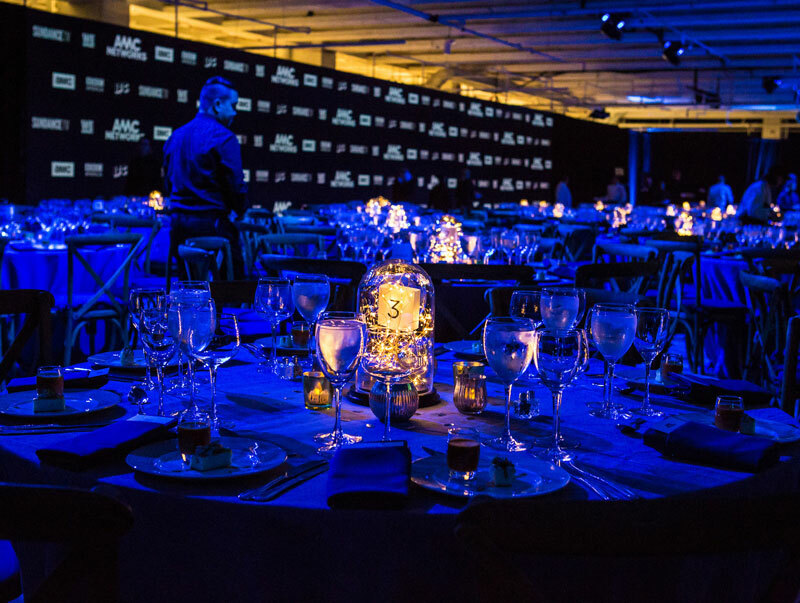 Two giant, towering high resolution LED video walls, each 64’ in length, flanked the room, and a sea of tables sparkled custom-designed centerpieces of bell glass-enclosed lights. 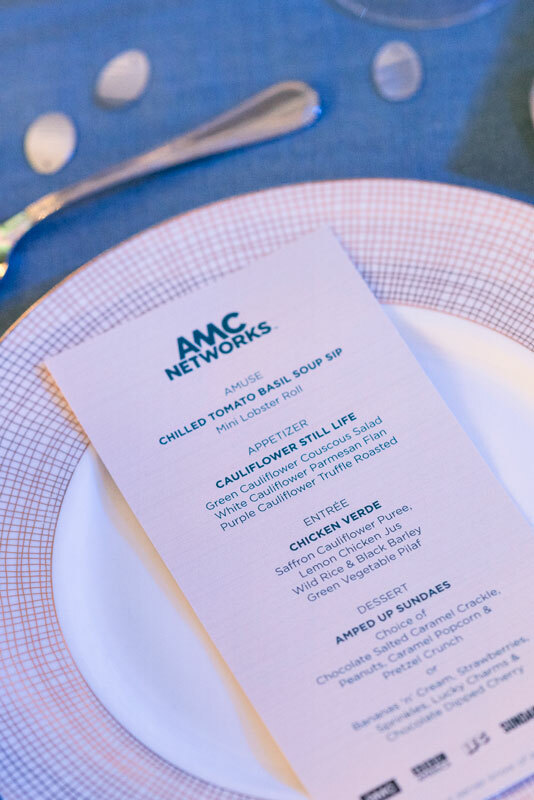 While dining on the gazpacho and mini lobster roll amuse bouche, provided by Abigail Kirsch, President & GM of AMC and SundanceTV, Charlie Collier, spoke about the upcoming programming on both networks while visual content adapted to the unique screens illustrated each point in perfect synchronization. 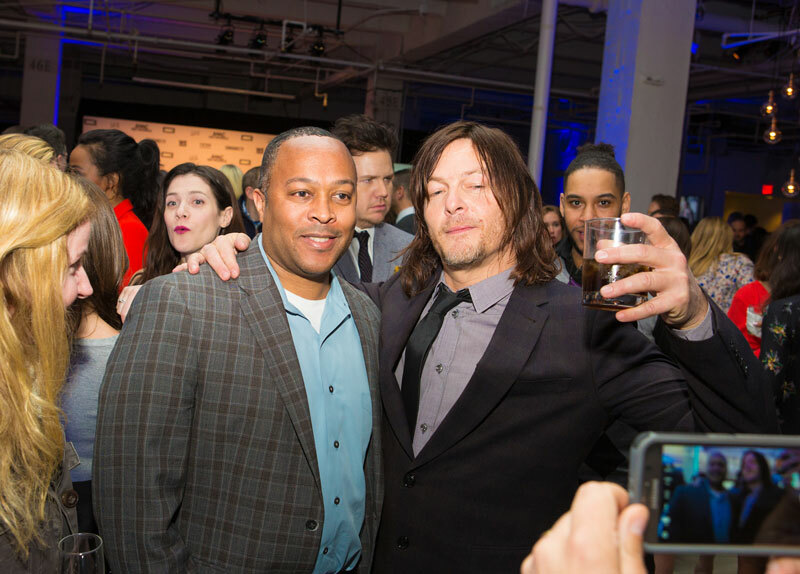 Collier called Walking Dead star Norman Reedus to stage to time how long he could speak without mentioning the show (about 12 minutes). 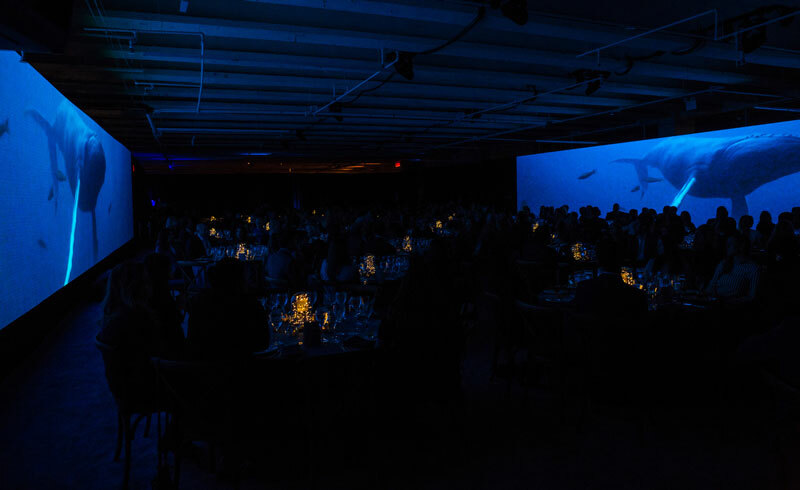 After Collier’s remarks he welcomed Sarah Barnett, President & GM of BBC America, to the stage where she shared breathtaking, immersive footage from Planet Earth 2 and other exciting news. 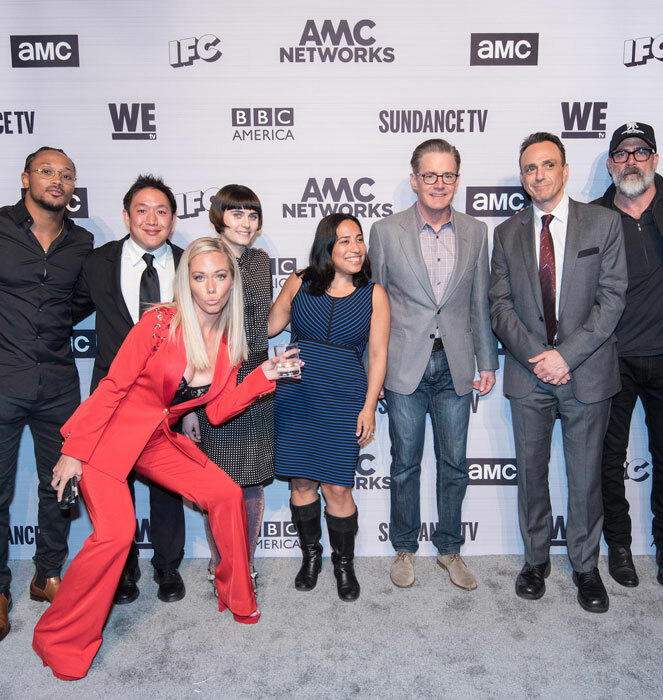 Collins then returned to welcome with fanfare nearly 60 of the stars from across all AMC Networks, who made their way into the room and joined the guests at each table. Among others, Pierce Brosnan, Amanda Peet, Hank Azaria, Elijah Wood, Steve Buscemi, Carrie Brownstein, Norman Reedus, Kendra Wilkinson, Fred Armisen, and Mama June dined with guests and rotated tables between courses. 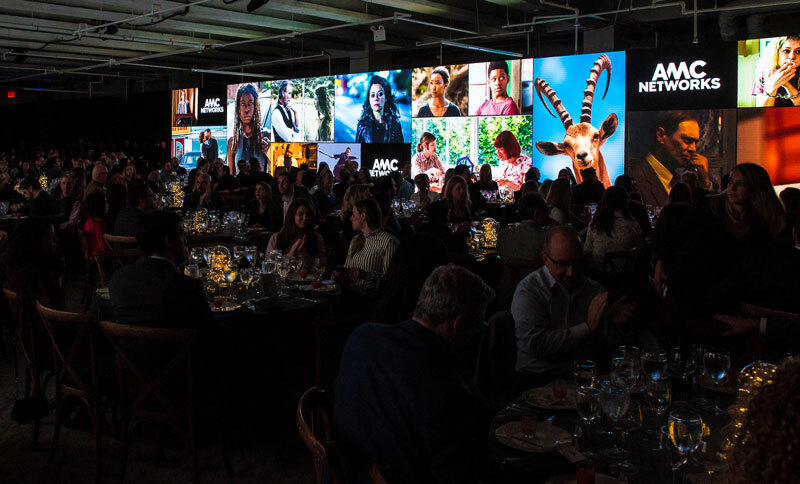 Following dinner, Marc Juris, President & GM of WEtv, and Jen Caserta, President & GM of IFC, both shared news about their respective networks’ upcoming slate and announced new partnerships and acquisitions. Collins then welcomed guests to yet another revealed space, the after-party lounge, where guests took photos with their favorite AMCN celebs. 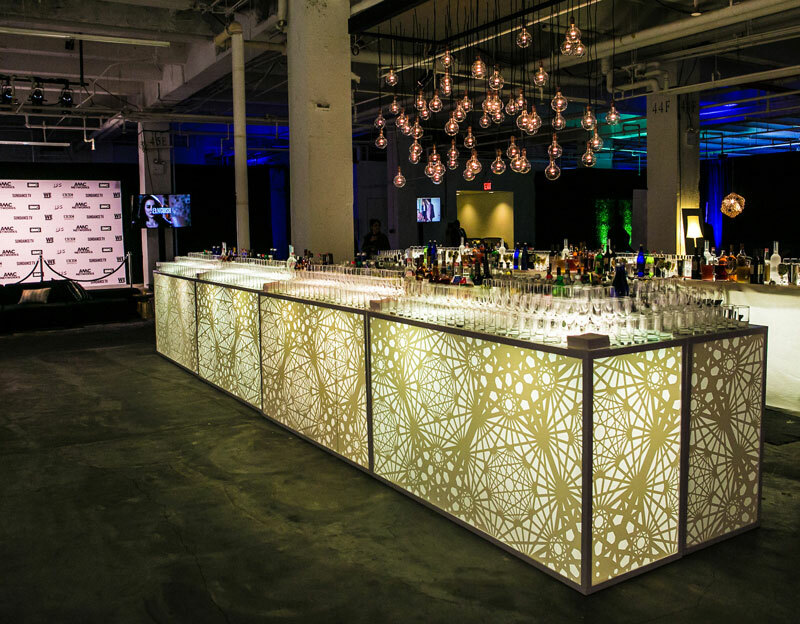 Throughout the after-party, guests enjoyed cocktails mixed with theatrical flair, danced to music spun by DJ Jon Black, and shared photos taken on a social media green screen photo booth where they dressed in AMC Networks programming-inspired costumes like servers at Los Pollos Hermanos with talent like Romeo Miller. 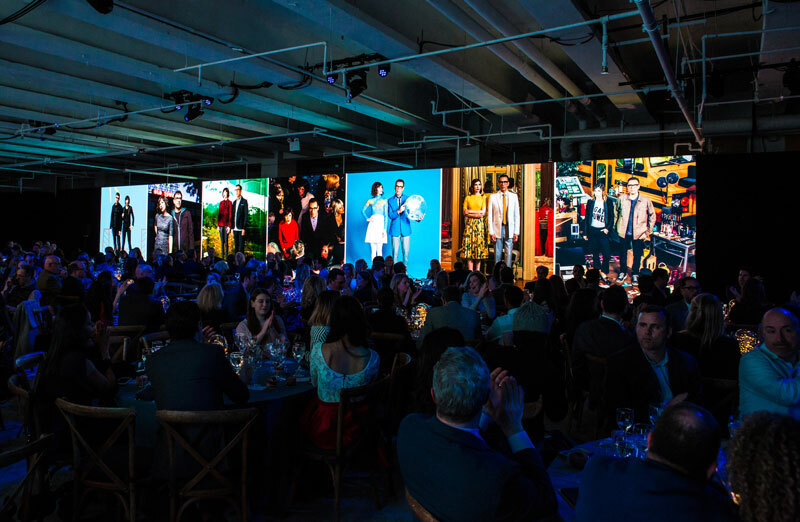 Empire was proud to continue our long-term partnership with AMC Networks and serve as overall event producer, provide concept, design, technical production, décor and execution of all aspects of this very special upfront event.